Thanksgiving might feel like the all-American holiday, but celebrating gratitude and harvest over a bountiful meal is more universal than we think. Even though dates and traditions may vary, there are many countries around the world that have a designated holiday for giving thanks. "Erntedankfest" literally translates to "harvest thank festival." Yeah, the German language tends to cut right to the chase. But the tradition of holding a harvest festival in Germany and other European countries dates back to before Christianity. 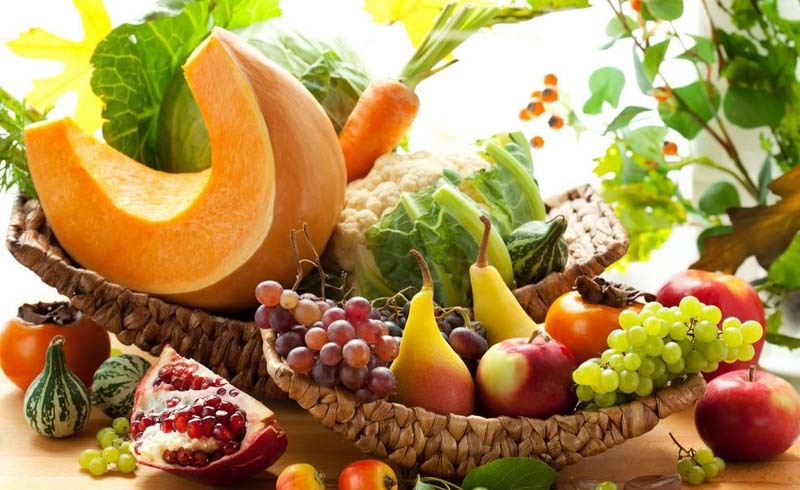 The image of a Thanksgiving cornucopia (also known as a "horn of plenty") actually comes from a European pagan tradition where farmers would fill a curved goat horn with fruits, vegetables and grains as a thanks for the bounty provided by the previous season’s labor. 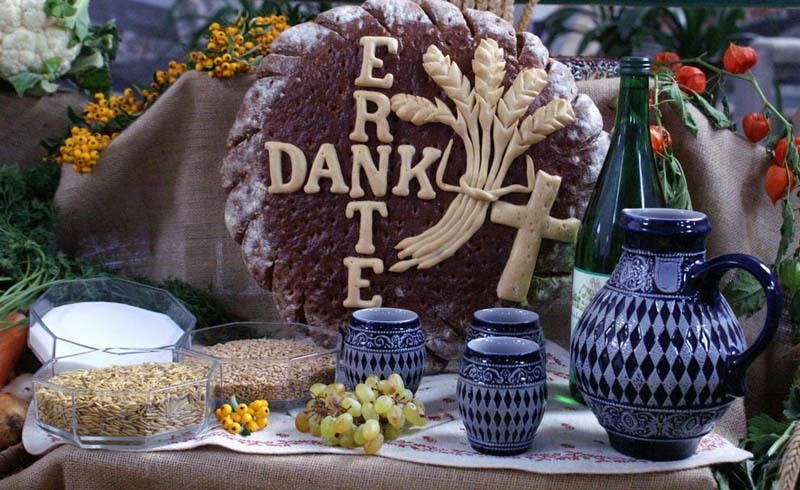 Today, Erntedankfest takes place on the first Sunday of October. Unlike an American Thanksgiving where we stay at home with close friends and family, German communities take their festivities to the streets and to town squares for parades, music, dancing and, of course, food. Because turkey, a bird native to North America, is not as common in Germany, an Erntedankfest meal would have chicken or a goose. Grenada celebrates Thanksgiving around a month sooner than the U.S.
Thanksgiving in Grenada is younger than most celebrations around the world, and it doesn’t necessarily have to do with the harvest season. 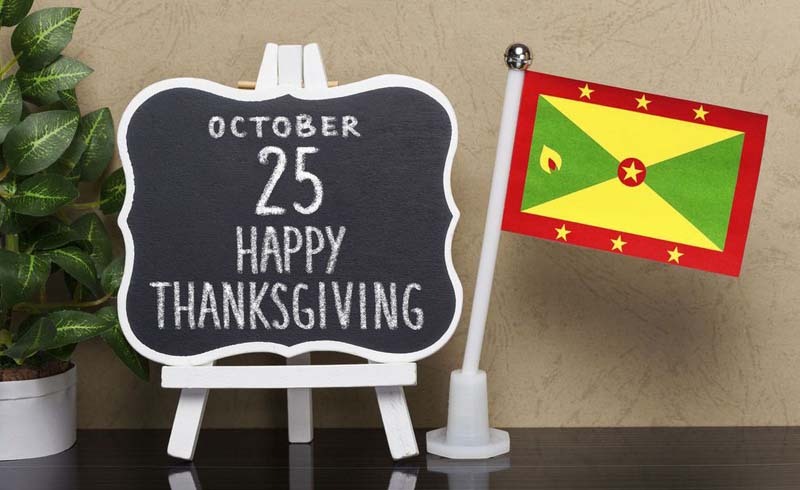 A Thanksgiving in Grenada takes place on October 25th and commemorates when the United States military came to the country to help restore order after their communist leader, Maurice Bishop, died in 1983. Soldiers stationed in Grenada began to tell locals about the upcoming Thanksgiving feast and how it's a time for gratitude. To give thanks to the U.S. soldiers, the people of Grenada surprised them with an American-style Thanksgiving complete with turkey, stuffing, gravy and traditional sides. The endearing gesture is now memorialized as an official holiday in Grenada. 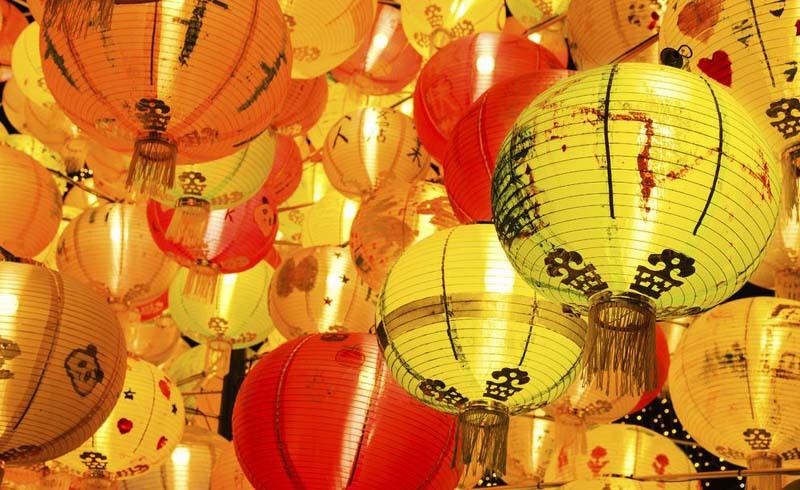 On the 15th day of the 8th month of the lunar cycle, Chinese families come together for a 3-day feast. This festival, also known as the Moon Festival, takes place during the Harvest Moon, which is the full moon closest to the Autumnal Equinox. 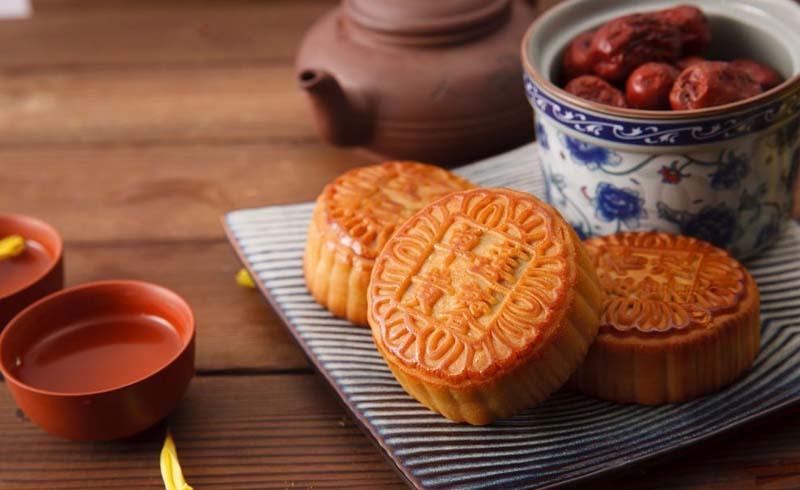 In addition to lighting lanterns and dragon dances, the most notable Mid-Autumn Festival tradition is the mooncake that's offered as sacrifice to the moon – as well as eaten in celebration of the holiday. Mooncakes are a spongy pastry filled with sesame seeds, ground lotus seeds and a salted duck egg yolk in the center which symbolizes the full moon. 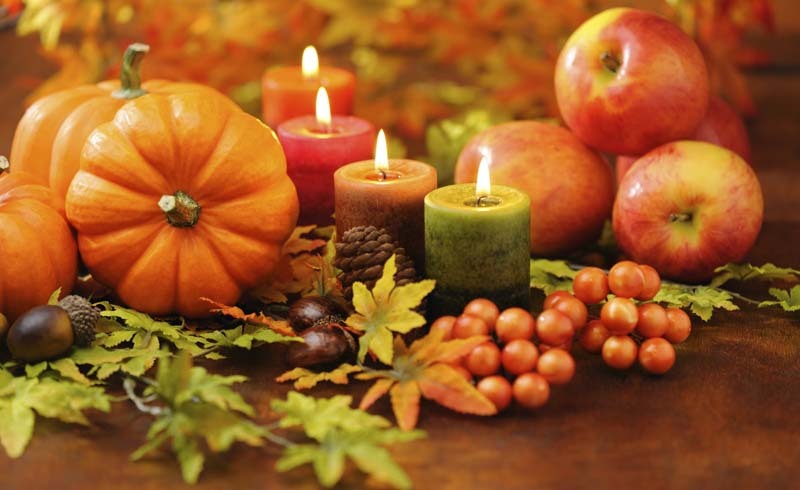 Like Grenada, Thanksgiving in the Netherlands has strong ties to America, but is celebrated differently. The holiday is held in Leiden and celebrates the Dutch who helped settle the American colonies (around 40% of adults on the Mayflower actually came from the Netherlands) during the first ever Thanksgiving around 1621. 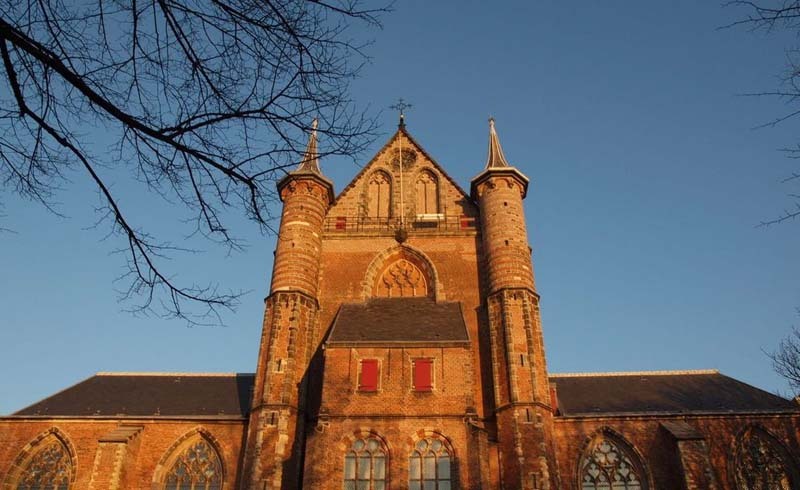 Like in America, the Netherlands observes Thanksgiving on the 4th Thursday of November, but instead of a meal, the Dutch attend a non-denominational church service at Pieterskerk, and enjoy coffee and cookies afterward. Meaning "Labor Thanksgiving Day," Japan’s Kinrō Kansha no Hi is meant to celebrate hard work and is a way of thanking each other for service to the community. The official holiday is held on November 23, but comes from a centuries-old tradition called Niinamesai, which celebrated the harvesting of rice. The Japanese celebrate Kinrō Kansha no Hi by hosting labor organization-sponsored events where you're encouraged to reflect on issues that impact your community, such as human rights and the environment. 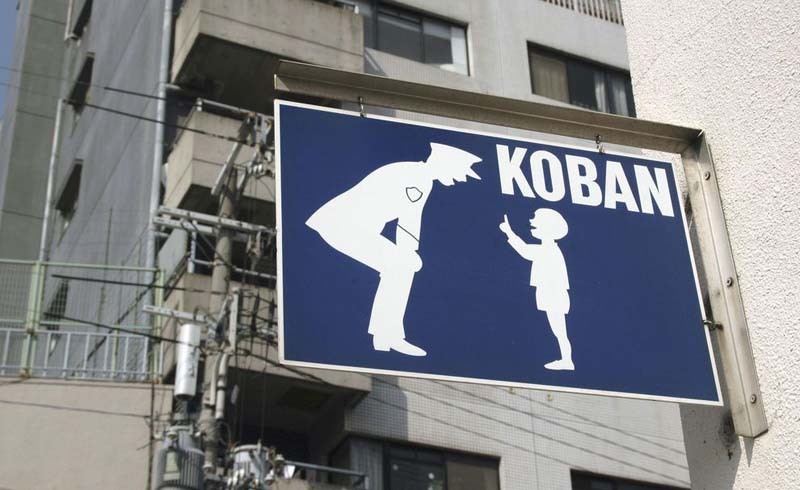 In some communities, young children make arts and crafts as gifts for the local police. The tradition of Thanksgiving was brought to Liberia by freed slaves from the United States who returned to the country around 1820, and was declared a holiday by the 1880s. A Liberian Thanksgiving is predominantly celebrated by Christians in Liberia, and their traditions include auctioning off fruit-filled cornucopias at their church and then returning home to enjoy a large feast with their families. Pongal, South India’s harvest festival, is a four-day celebration that is probably one of the most illustrious harvest festivals in the world. Each day brings its own traditional customs dedicated to specific gods. On the first day, Bhogi Pongal, families come together to give harvest offerings to Indra, the god of the rain and the clouds. On the next day, Surya Pongal, families honor the sun god by making a sugarcane dish called sakkarai pongal. 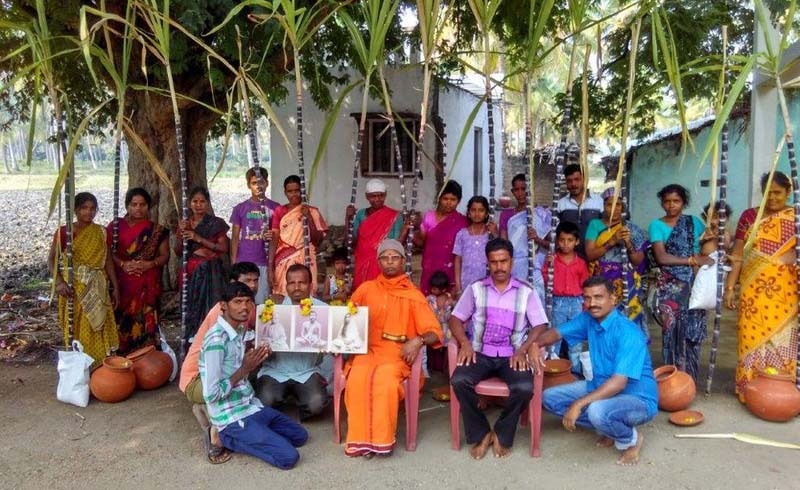 Mattu Pongal is the third day where shepherds give thanks to their cows by painting them. The final day, Kanu Pongal, is when families travel to see their extended family and share food to give thanks for a good harvest. Pongal begins on the first day of the month of Thai, which is after the rainy month of Margazhi. It varies on the Gregorian calendar, but Pongal usually falls in mid-January. When a Brazilian ambassador returned from a November trip to the United States in the 1940s, he brought back with him the tradition of an American Thanksgiving. 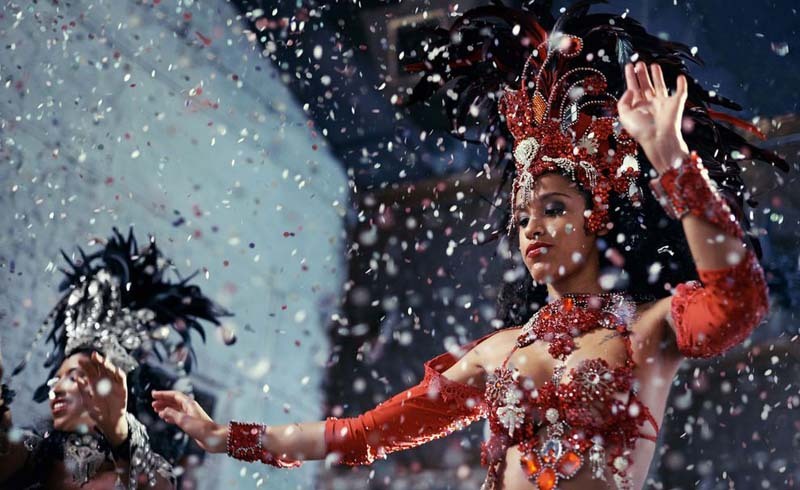 Like many other Thanksgivings around the world, a Brazilian Thanksgiving begins with a church service and then turns into a Carnival-like celebration with a gigantic party in the streets. Yams are a common side in a traditional American Thanksgiving, but they’re also the most important crop in Ghana. "Homowo" means to “hoot at hunger” in the Ga language. 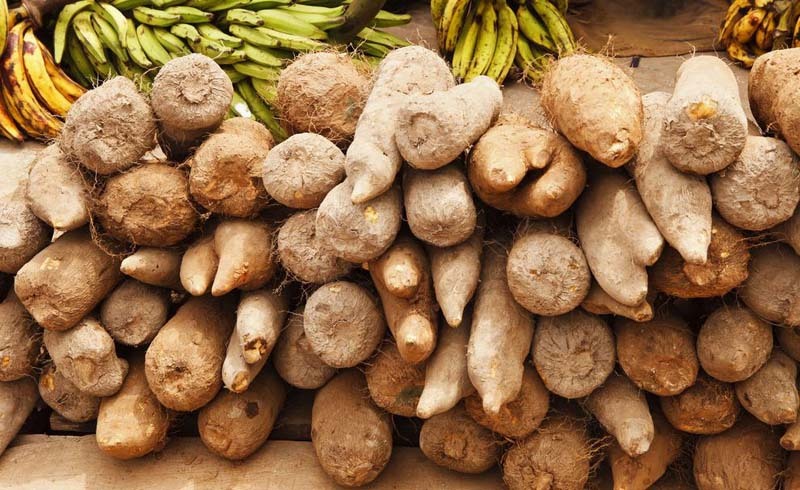 Each May before the rains come, the Ga people of Ghana plant their crops and are prohibited from using drums or making excessive noise in fear that it will disturb the yams. But once it's time for harvest, the celebration begins with marching, drums, chanting, singing, face painting and dancing. The celebration also includes a bounty of roasted yams, soups and stews of yams and fried yams. In the month of May, the people of Malaysia come together for Kaamatan, which gives thanks to God for rice and marks the end of the rice harvest. 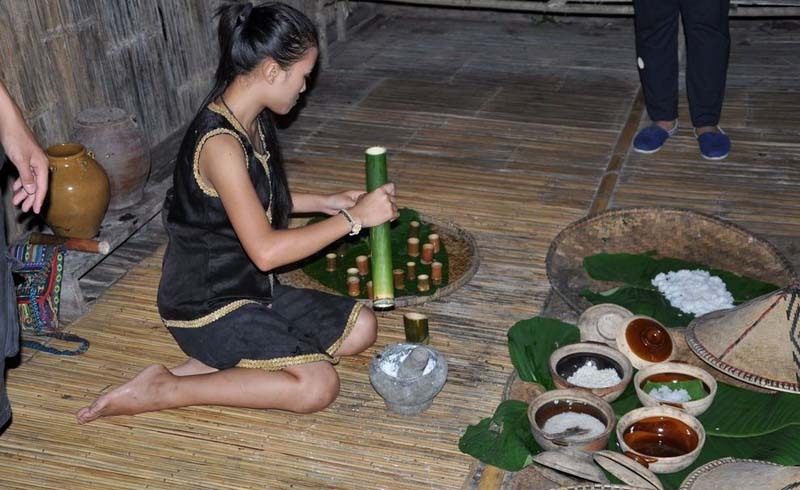 The holiday is celebrated with drinking tapai (which is wine made from rice), dancing, buffalo races, performances and playing traditional games.